Cucumbers are perfect for handling summer’s heat. Sunomono is a classic Japanese summer salad of cucumbers in vinegar with numerous variation. 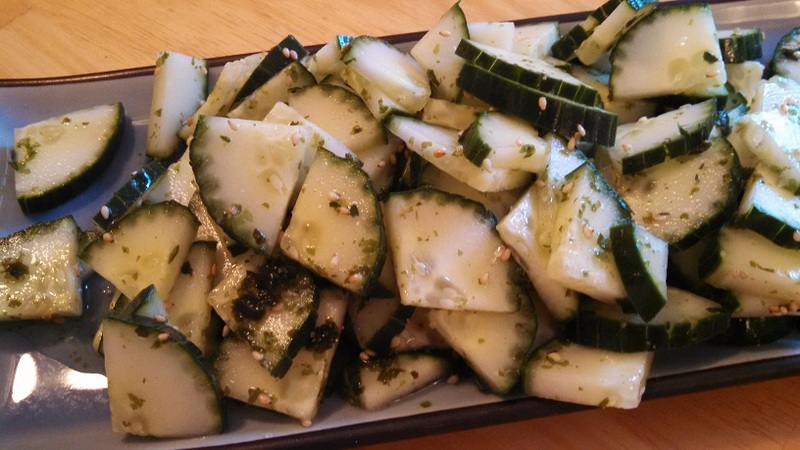 AprilSunomono (Cucumber Salad With Seaweed And Sesame) – – cucumber (cut in to 1/2 inch quarters), rice wine vinegar, nori or light seaweed (crumbled), sesame seed (black or brown), water, sugar (if needed), , Slice and quarter the cucumber to desired bit sizes.